can you really TEACH THE BIBLE IN PUBLIC SCHOOL? Biblical language permeates our conversation. Without the study of the Bible in our schools, we run the risk of creating an avoidable deficiency in American education. Deep knowledge requires cultural literacy. When the schools of a nation fail adequately to transmit the literate national language and culture, the unity and effectiveness of the nation will necessarily decline. Cultural literacy begins with Bible knowledge. No one in the English-speaking world can be considered literate without a basic knowledge of the Bible. Teaching the Bible is constitutionally permissible. 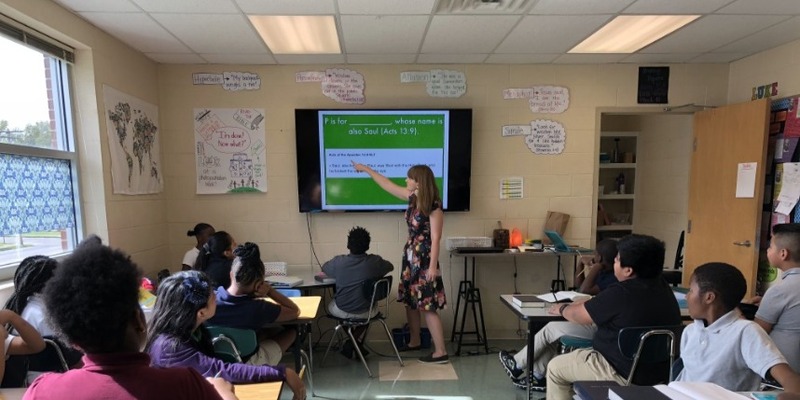 Through the pronouncements of both the U.S. Supreme Court and the Federal District Court, the Bible teaching program in Hamilton County’s public schools stands the test of constitutionality. “Separation of church and state” is a misleading metaphor. Never appearing in the Constitution nor in any other founding era document, the wall of separation between church and state in a private letter from Thomas Jefferson was not meant to limit religious activities in public, but rather to limit the power of the government to prohibit or interfere with those expressions. Bible classes improve scholarship and character. A study by the National Council on Crime and Delinquency concludes that Bible students perform better than their classmates as a whole in almost every category with reinforced moral and character development that is antithetical to engaging in criminal or delinquent behavior. Teaching about the Bible in public schools is endorsed by a diverse group of organizations representing constituencies of educators, lawyers, Jews, Muslims, evangelicals, and social liberals. Because of its tremendous impact on drama, poetry, fiction, history, law, art, and contemporary society, the Bible should be taught in our public schools. True education demands a knowledge of the Bible. A full orbed education, whatever else it requires, demands that one have an acquaintanceship with one certain book -- the Bible. The real subject is the children. Support for the teaching of Bible History is one significant way to ensure a better, brighter future by enriching the next generation with the wisdom and knowledge of the Bible. There are cultural, historical, legal, and educational reasons why Bible History should be taught in Hamilton County public schools. So much of the art, music, history, law, culture, and moral standards of Western civilization are based on the Bible, that to be a culturally literate a well-rounded education requires biblical knowledge. Our invitation to you is to join us in presenting this rare gift to public school students in Hamilton County. "In the future, I will be expected to know this book and this class gives me exactly that."